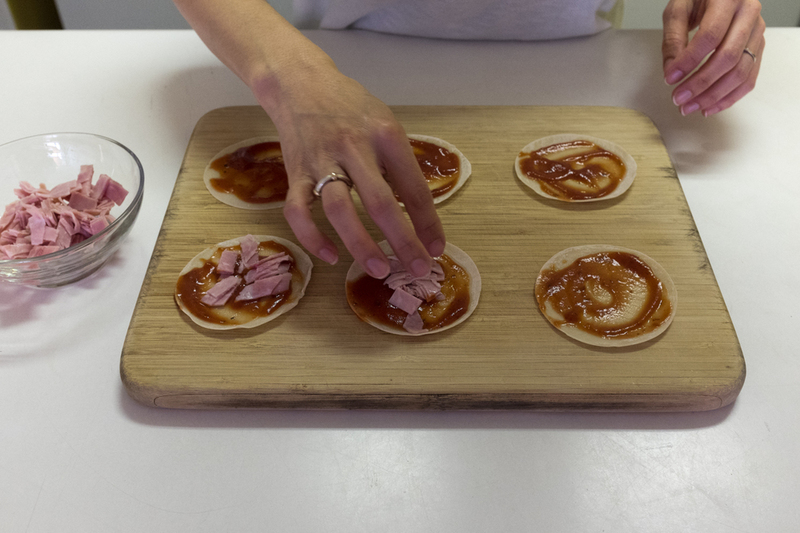 From the top left, Pizza/Tomato sauce, Ham, Corn, Cheese. On the bottom is Gyoza skin. 1. Line gyoza skin on a cutting board. 2. 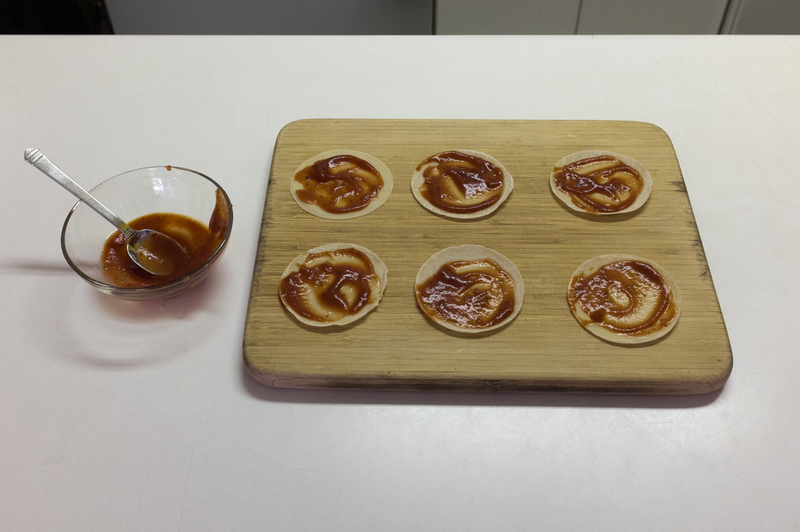 Apply pizza/tomato sauce on the gyoza skin. 3. Put ham on gyoza skin. 4. Put corn on gyoza skin. 5. Put cheese on gyoza skin. 6. It's ready to cook! 7. Using medium heat, preheat the pan and then add oil to the pan. 8. 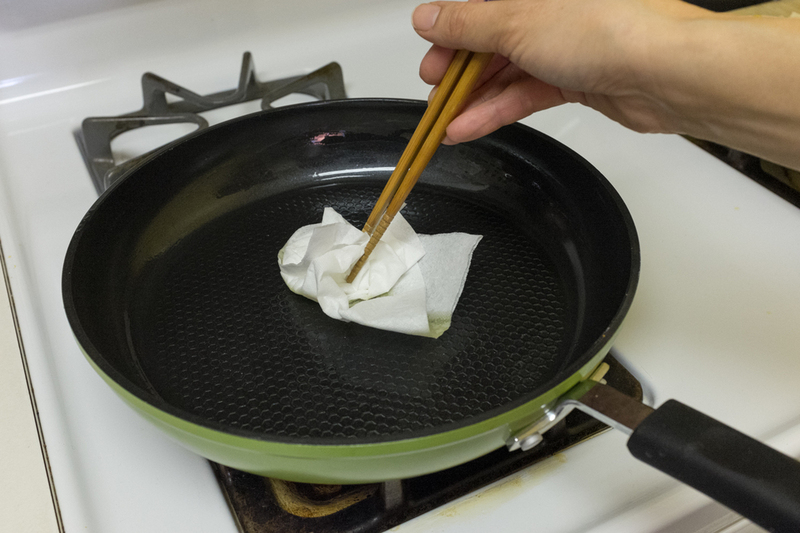 Remove excess oil from the pan using a piece of paper towel. 9. Place the gyoza pizza on the pan. 10. Cook until the gyoza skin gets crispy and cheese is melted. It is super easy and I love the crispiness of the gyoza skin. It's very tasty! Why don't you try and make this for a snack, and enjoy it with a beer?